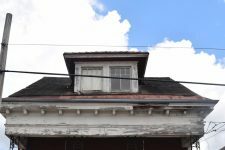 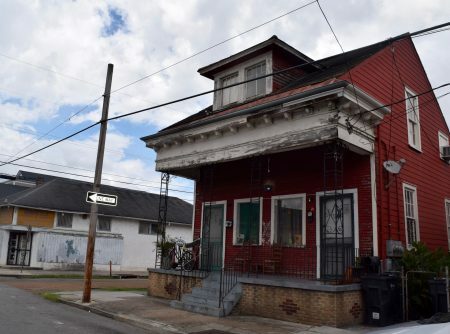 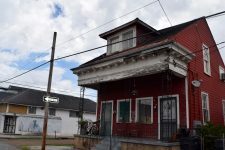 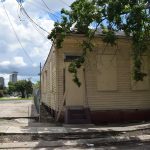 This Creole cottage is the home where Ferdinand “Jelly Roll” Morton (ca. 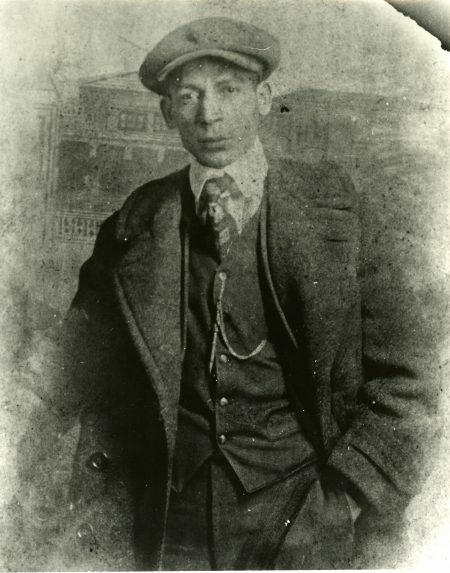 1885-1941) was born and raised. Morton was one of the greatest pianists, composers, arrangers and bandleaders of early jazz. He often said that he invented jazz single-handedly; while this is an exaggeration, he was instrumental in the development of the form. 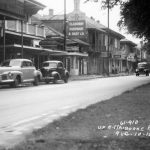 While Morton’s family appreciated music, especially at the French Opera House, they did not regard playing it as a worthy vocation for him. 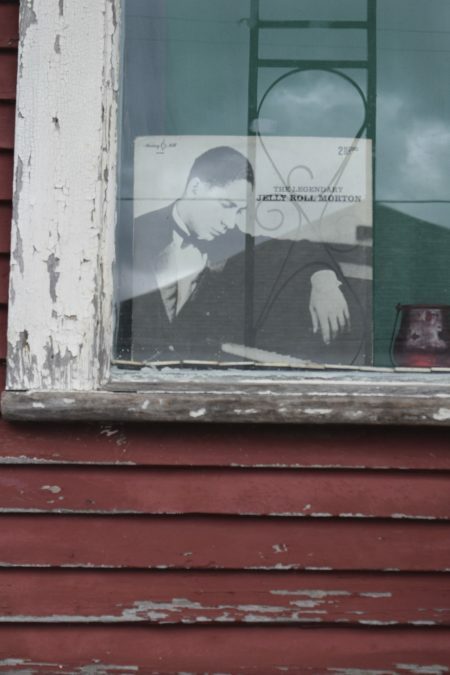 Nevertheless, as a young man he earned money playing piano at some of the finest brothels in Storyville. 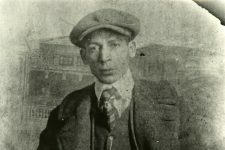 He became a hustler, and ran with a rough crowd. 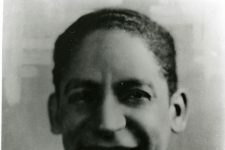 His style mingled aspects of his classical music background with the blues, and used Afro-Cuban rhythms like the habanera to create a sound he referred to as the “Spanish tinge.” His compositions such as “Jelly Roll Blues” and “Black Bottom Stomp” are considered some of the finest jazz songs from the period. 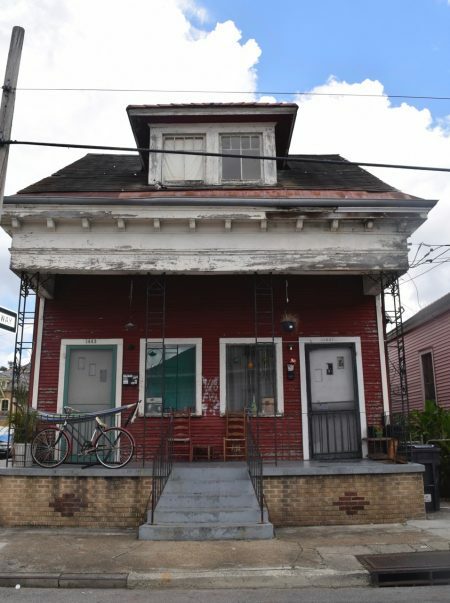 This house was renovated after Hurricane Katrina by Jack Stewart, a general contractor and preservationist, and rented to musicians. Jelly Roll Morton's house in 2017. 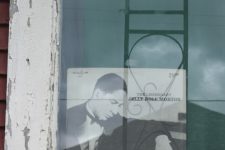 From 2017, a Jelly Roll Morton album cover in the window of Morton's old house. 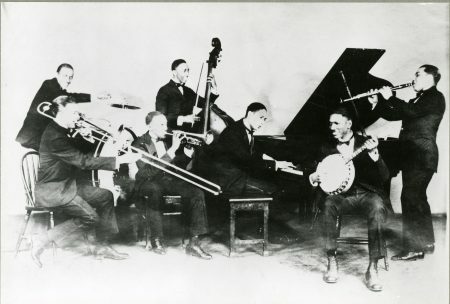 From Chicago in 1926, Jelly Roll Morton at the piano with his band: Andrew Hillaire, Edward “Kid” Ory, George Mitchell, Johnny Lindsay, Johnny St. Cyr, and Omer Simeon. Jelly Roll Morton, always the dapper dresser. 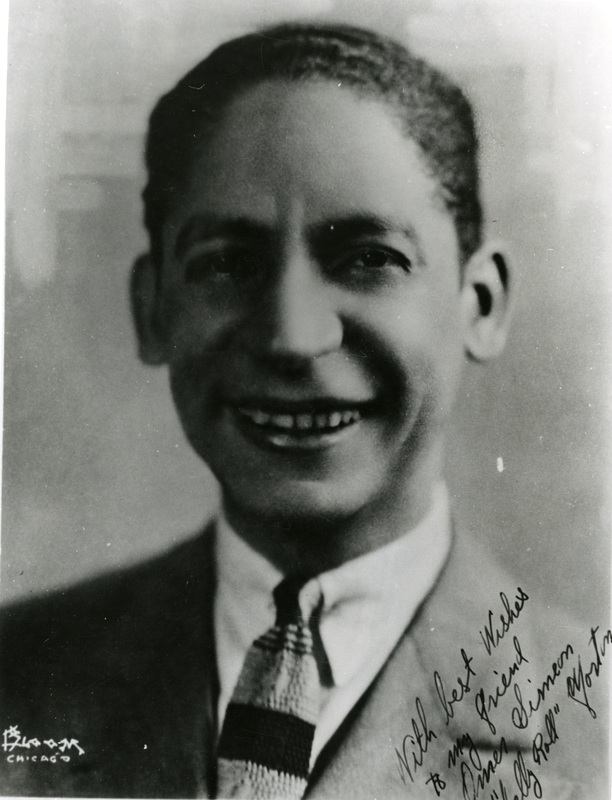 Jelly Roll Morton (ca.1885-1941), one of the greatest pianists, composers, arrangers, and bandleaders of early jazz.